to showcase their creative work and passion. o﻿riginally spelled ‘Delahoyde’, loosely translated to mean ‘of the hide’. Stephanie's Great Grandfather, John Thomas Dullahide, was a stockman in outback Queensland and he also tanned hides. He and his wife, Phoeby Agnes Ryan, worked the land. His activity of tanning the hides is our inspiration for linking our current activities to the old family name. posterity. 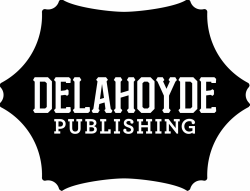 Likewise, we record our stories, and all our creative arts, through our Delahoyde brand. stories we hope will inspire, encourage and entertain. To the harsh wilderness of Australia ... and thrived! Still seeking to find where in this world we belong. We have learned that we all belong to the same family. We are the product of great men and women who have given us so much. In turn, we leave our legacy to those who will follow.